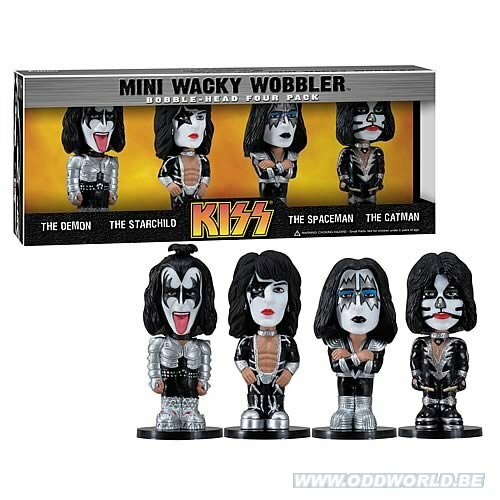 Demon, Starchild, Spaceman, and Catman! Gene Simmons, Paul Stanley, Ace Frehley, and Peter Criss! 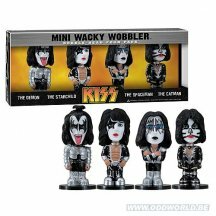 KISS mini bobble heads stand 3-inches (8 cm) tall.